Phone Ninja – Your Galaxy S6 Edge Repaired Fast! We offer a wide range of Galaxy S6 Edge repairs often while-you-wait, including but not limited to screen replacements, battery replacements, charger port, camera, and much more. We have served over 30,000 happy customers from our stores right across Perth, so you have the peace of mind knowing that you’re in good hands. For our Galaxy S6 repair page (Non Edged version), follow the link. Galaxy S6 Edge Screen Replacements may be the most common repair we offer for the S6 edge, in fact if your LCD (the part that makes the picture) is working perfectly then we can even replace just the glass & touch screen for a much lower cost saving you money. We also offer a wide-range of other services, all of which are backed by our Perth price-beat guarantee, find a cheaper price and we’ll beat it! Worried about losing your data? Don’t be, at Phone Ninja we don’t delete your data, or replace your phone with a refurbished unit like other repairers! Did you want your Galaxy S6 Edge repaired like new, often while-you-wait to save you time? You can contact us by calling, booking an appointment, or dropping into any of our stores across Perth today. 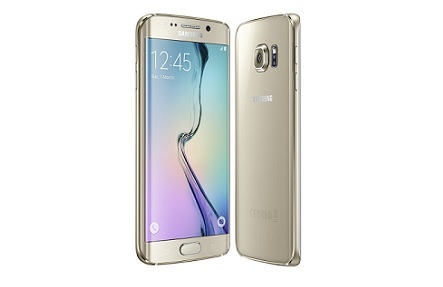 The Samsung Galaxy S6 Edge features a revolutionary design. Utilizing a screen with curved edges to provide a better viewing angle and overall user experience. The Samsung Galaxy S6 Edge is one of the more complex phones available on the market, therefore you need an experienced phone repairer like Phone Ninja Perth to help you out. At Phone Ninja we offer only the most professional service with top-quality parts. The Phone Ninja difference is that we offer a Perth price-beat guarantee along with a full 3-months warranty. We also offer an on the spot repair, as we stock screens & other parts.